As of September 2008, all new info concerning Participanst will only be added to their Global Files at http://globalcommunitywebnet.com/GlobalFiles/. Ozod Mukhamedjanov President of NGO "City of Masters"
Avenues training, research and educational consultancy pvt Ltd.
and Victoria Churikova, the manager. Mt. Warning Bed & Breakfast Retreat "Maya"
water use, water management in arid zones. causes for the desertification of semi-arid regions. the forests for long term sustainability. Business and services committed to ethical practice. 2)	Reform the WTO! - But where are the Ideas? water for life and water for nature . 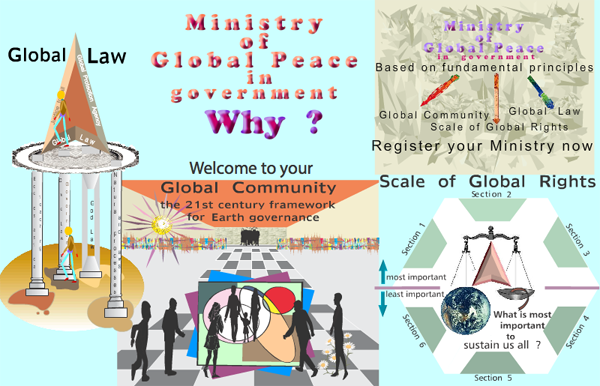 Subject: About the Earth Management - all Peoples together . IEDS-Friends of the Earth Bangladesh. A l'origine dote du seul certificat d'etudes, je suis devenu a 40 ans, diplome de 3ieme cycle universitaire. Je suis message du Manifeste 2000 de l'UNESCO, ambassadeur universel de la paix, laureat des Academies Europeenne et mondiale de la culture et des arts. for Lesbian/Gay/Bisexual/Transgender/Transsexual Rights and a leader of Radical Women, spoke Feb. 14, 2004 at a Seattle rally to protest Bush's support for a constitutional ban. Dr. Rose Anne Dyson Ed.D. Proposal for Discussion Roundtable: GLOBALIZATION, MEDIA AND MERGERS: What is the Impact on Youth and Education? Jerome Glenn, AC/UNU Millennium Project, Washington, D.C.
Research Paper: Knowledge policies for Sustainable Development in Africa. Only the abstract is shown here. A copy of the complete paper can be obtained from the author. Churches have access to millions of worshippers. The attached File is it plus some notes on possble actions for congregations. Conflicting Demands and Varying Social and Political Conditions. by Dr. Katsikides,S., Dr. Iakovou,Chr., Dr. Sarris,M. Chief of the National Community "Aleskam"
Sandra Kay, GAEA Technologies Ltd.
Environmental Information and Sustainable Development Centre "Rio"
Architectura PLANNING ARCHITECTURE INTERIORS INC.
Union of Aboriginal Communities "Yayar"
Igor N. Malakhov, Lenina str. T.J. McCann and Associates Ltd.
Economic valuation as a framework incentive to enforce profit-based conservation strategies for natural ecosystems. The current crisis is an open phase of a global crisis. It is a result of a false recognition of this structural crisis, previously described in the Limits to Growth Report. This crisis is not a result of overpopulation, but of the world society's maladjustment to life in a State of Change and Risk. In this rather new situation, obsolescence (moral destruction) of life-forms not adapted to new life-conditions is the main life-destroying and crisis-generating factor. To permanently overcome this crisis, we have to reinforce the UN “three pillars” world society sustainable development strategy by including into it the task of building an information basis of sustainable-development policy and economy (including a global early warning system). 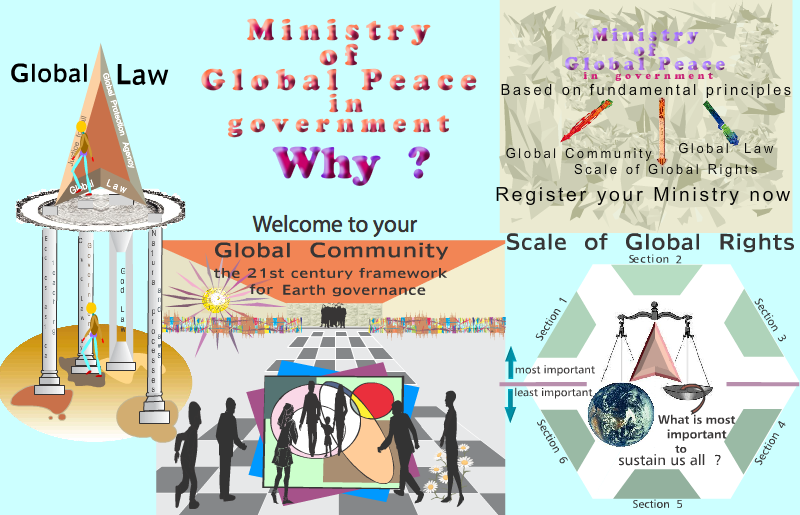 To achieve sustainable development, what we also need to create includes a subsidiarity-principle-based UN Sustainable Development Council with theWorld Sustainable Development Strategy Center, including the UN Global Dynamic Monitoring Information Center. After a big financial crisis, world society has recently entered a new kind of crisis. This next, current crisis combines a government/state-debt, unemployment, famine and, as a result, defensive social revolutions (for example: Tunisia, Egypt). At the same time, “economic disparity” and “global governance failures”, were treated as basic (root, crisis generating) problems, during the World Economic Forum (WEF, Davos, 2011.
president of the female centre "Ecoinitiative"
Paper title: "Spreading of heavy and toxic metals on Sogdiyskaya region area"
Product Association "VOSTOKREDMET", the town of Chkalovsk, the Republic of Tajikistan. Paper title: "Appropriateness of spreading of the artificial radionuclides in the Nothern Tajikistan"
Paper title: "The method of dialysis extraction of metals for the solution of ecological problems"
Paper title: "Radiation situation in Sogdiyskaya region"
Paper title: APPLIED PACKAGE PROGRAM "ECOLOGY OF UNDERGROUND WATER"
Towards Sustainable Water Use in the Mediterranean and the Middle East: Conflicting Demands and Varying Social and Political Conditions. Task of the man - to control a Nature: The classification of methods of management of a Nature is a typology of personality. "The Impact of Carbon Credits on Financial Viability of the AIJ/JI/CDM Projects"
Title: Do We Need Nature? NGO Children Forestry "Young Naturalist"